Just under four fifths of internet shoppers are happy with the retailers they use online, according to new figures from the IMRG. The report found that the web was customers’ preferred channel for two categories of goods – 64% of respondents preferred to buy books, DVDs and CDs online, while 56% preferred to shop online for travel bookings and tickets. However, only 13% preferred the web for home and DIY, and food and drink. The report also highlighted the importance of offering good product information online, whether customers end up buying online or not. However, just 75% of shoppers declared themselves satisfied with the information available. The figures came from a new index, launched by the IMRG with eDigitalResearch, which will survey a sample from the 1.5m members of ipoints’ online loyalty programme to measure customer confidence in online retailers across eight sectors. 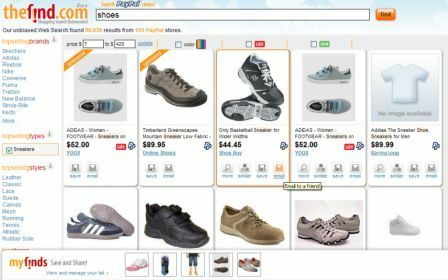 Shopping search engine Thefind.com has launched a new service for consumers to browse products exclusively from merchants that accept PayPal payments. Around half of all online purchases are preceded by a search, so landing pages can be vital to the success of your e-commerce plans. The trick is to consider the mindset of your visitor and provide just enough information to persuade them to purchase, but not too much so that they are distracted. Silicon Valley startup Lala.com has just gone live with an alternative plan to encourage music downloads. 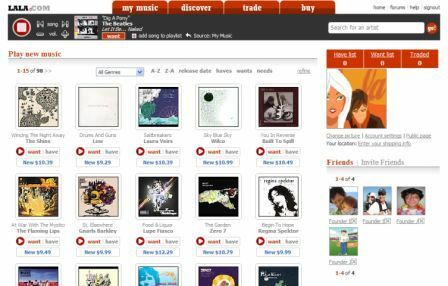 It is offering free, on-demand streamed music through its site in the hope that enough users will buy CDs and download tracks to make it profitable.